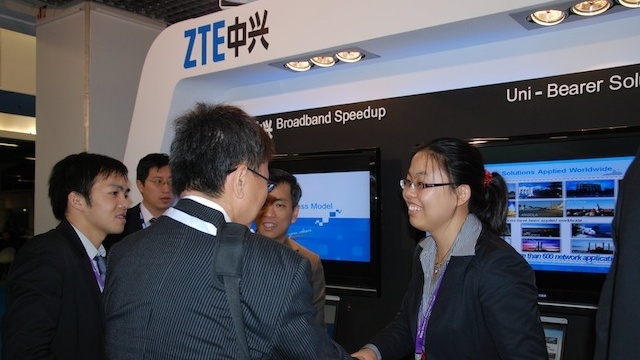 ADDIS ABABA – Ethiopia signed an $800 million deal with China’s ZTE (000063.SZ) on Sunday to expand mobile phone infrastructure and introduce a high-speed 4G broadband network in the capital Addis Ababa and a 3G service throughout the rest of the country. The agreement with ZTE, China’s second-largest telecoms equipment maker, is half of a $1.6 billion project split with Huawei Technologies Co Ltd HWT.UL, the world’s second largest telecom equipment maker. Huawei signed the agreement last month. Both firms will provide low interest loans to Ethiopia through an arrangement known as vendor financing, Ethiopian officials and both firms said. Africa’s rapidly expanding telecoms industry has come to symbolize its economic growth, with subscribers across the continent totaling almost 650 million last year, up from just 25 million in 2001, according to the World Bank. China has extended its economic influence on the continent in recent years, winning road construction tenders in Kenya, signing deals for construction of energy projects in Uganda as well as running mining projects in various countries. Andualem Admassie, acting chief executive officer of state-run Ethio Telecom, said the agreement would enable the Horn of Africa country to double subscribers to more than 50 million. “The expansion is vital to attain Ethio Telecom’s objective of increasing telecom service access and coverage across the nation, as well as to upgrade existing network to new technology,” he said in a speech. Ethio Telecom is the only mobile operator in the country of more than 80 million people, one of the last remaining countries on the continent to maintain a state monopoly in telecoms.